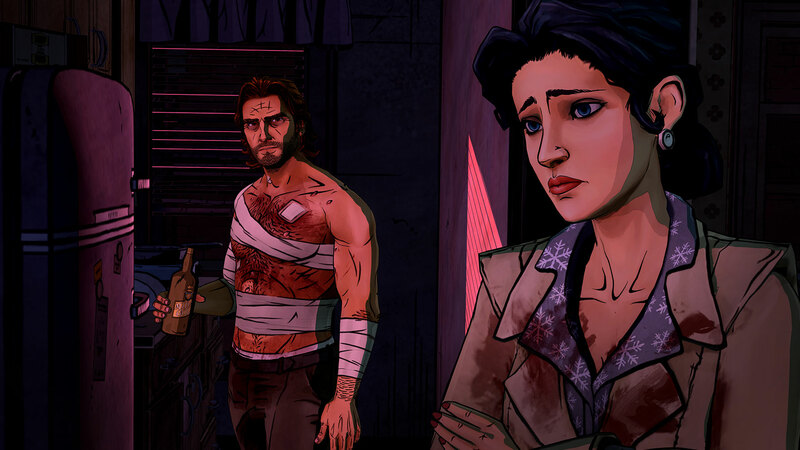 The Wolf Among Us Episode 4: In Sheep’s Clothing brings the latest Fabletown shenanigans straight to your 360. 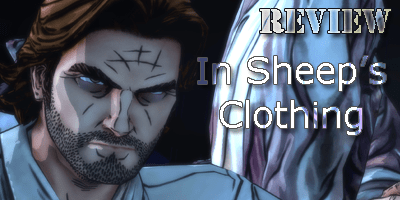 Will Bigby finally discover the serial killer, or does the story take yet another twist? As always, you’ll have wanted to play through the first three chapters before tackling ‘In Sheep’s Clothing’ and whilst I’ll go to every effort to not ruin the storyline for you, please be aware that a few details may drop out. We take control of Sheriff Bigby Wolf straight after the destruction of the previous episode. Bigby is wounded but they say never to corner an injured animal and that is never more true than now. He’s on a mission to discover the Fabletown murderer and there is seemingly nothing that will stop him and Snow from delving deeper into the lives of his fellow Fabletown citizens. We may be over halfway through the series, and no doubt the final chapter will hold all the really exciting moments, but as an episode goes, ‘In Sheep’s Clothing’ comes in a disappointing last. There really isn’t an awful lot to do throughout the miniscule 75 minutes of gameplay on offer and I’d hazard a guess that at least 70 minutes of those will take on nothing more than pressing a single button in order to instigate or complete a conversation. The Wolf is a game that first hit us hard as an investigative story with a hint of action, but now, in this fourth chapter, the investigations have dried up and the action is all but absent. There is one scene that requires any form of quick thinking, and more or less one other that sees you put Bigby’s detective skills to test, but other than that, you’ll be sitting back watching an interactive TV show that only requires you to press the X, Y, B or A button every minute or so. It’s this lack of involvement that ruins the chapter for me and whilst we may get a feel for who and what really does control Fabletown, from a personal point of view, I want to play a game not watch a TV show. But to get through to the next chapter we sometimes have to take one for the team and that’s the case here. Whilst we find out about a couple of new characters, and an absolute shed load more info on those mysterious ‘Glamours’, there’s not really an awful lot to keep you interested. Additionally, for the first time in either this series or over numerous chapters of The Walking Dead, the acting and scripting seems very poor and is totally out of character when you put it alongside the usual great narratives that come out of the Telltale Games studios. 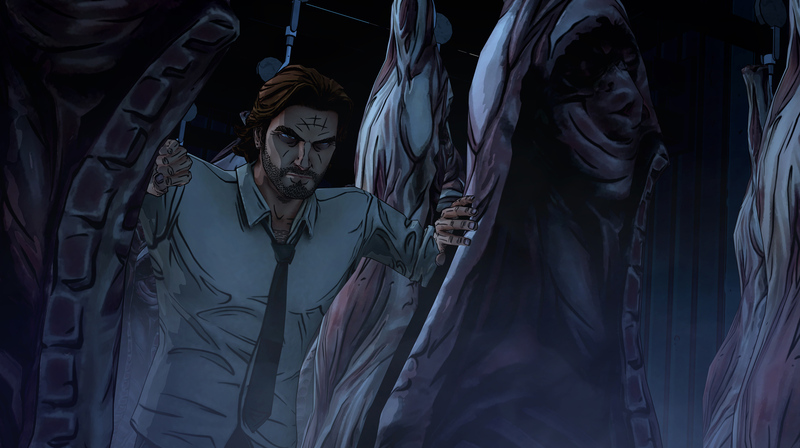 Throw in those now traditional overly-lengthy loading screens and now customary stutters that plague The Wolf Among Us and you’ll see why this is by far the most disappointing chapter on offer, with only a rather decent cliffhanger leading into the final episode the single bright spark throughout. ⅗ is all I can manage and hope that the next chapter ‘Cry Wolf’ sees the series end on the high that it started with. Previous articleBorderlands: The Pre-Sequel dated with a Moon Dance!